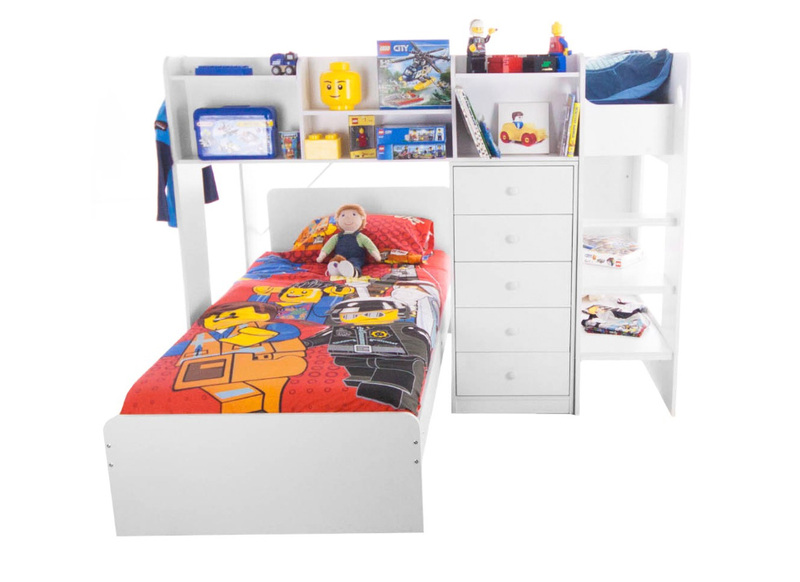 The Wizard Junior 'L' Shaped Bunk Bed is finished with a stunning brilliant white coat, and has been designed with practicality and safety in mind. 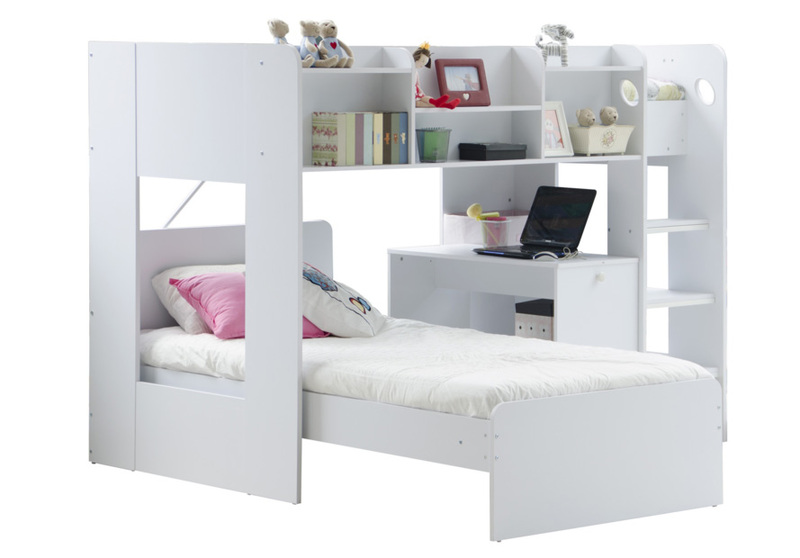 The multi-functional design of the Wizard Junior provides two comfortable sleeping areas, and a large amount of storage space with the shelves and drawer chest/computer desk. Thanks to its space saving design the Wizard is the perfect new addition to any bedroom, and can be personalized by changing the under bunk storage (computer desk/drawer chest).